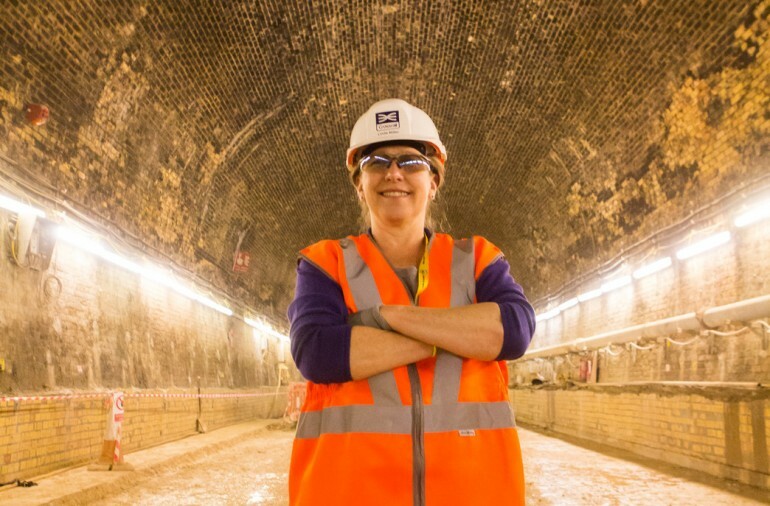 #TeamCrossrail Blog: Linda Miller, Project Manager Connaught Tunnel - Crossrail . For information about the Elizabeth line please visit the Transport for London website. I was inspired to join Crossrail long before I thought I might have a chance to be on the team. It is a remarkable (breath-taking really) civil engineering marvel with audacious amounts of steel and concrete forming a state-of-the-art transport system for millions of peoples’ journeys into the future. That’s why I wanted to join Crossrail 5 years ago. But actually, what keeps me inspired here every day has less to do with the steel & concrete we’ll leave at the end, and more to do with the bold ways of “how” Crossrail is delivering. It’s like no other organisation I’ve ever seen before. Whether it is dramatically improving the safety of bicycles & lorries, significantly enhancing the environment, celebrating innovation (as opposed to using only the old ‘tried & true’), moving 100’s of Apprentices forward, creating connections in our schools & communities that will last generations – all of these things and more Crossrail does with gusto! I love it. Doing it with great, big, stonking toys! Right, I thought. I'm having that! I'm regularly trying to talk young girls and women into becoming engineers or joining this fantastic industry in some way. We have a considerably smaller percentage of young women in the UK aiming for this meaningful work than other countries; really the statistics are dire. There’s been a recent increase in the number of women, but it needs to grow in leaps if we are going to keep up in the coming century. And as a generation of engineers retire, we need every bit of the intelligence, energy and creativity of all the young women & men we can attract! Image: Linda Miller standing in the Connaught Tunnel with Site Engineer Alex Mitchell. 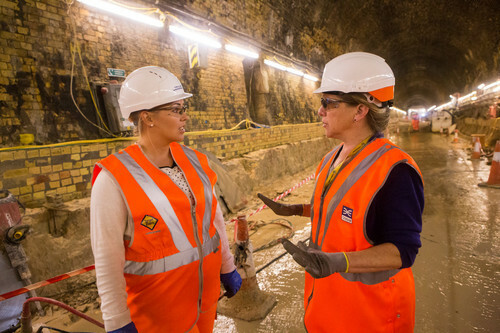 Crossrail is doing a fantastic job working with schools and teachers across the route to help encourage more young women into the industry and it is extremely encouraging to know that we are making the right progress in addressing the gender gap. Focusing back on the job at hand, so to speak, I have to say it has been a truly fantastic honour and privilege working on my patch of the Crossrail project - bringing back to life a beautiful 130 year old Victorian rail tunnel. The Connaught Tunnel has been the home to myself and around two hundred other men and women over the last three years and it's been a fantastic, fantastic job. The whole team is in agreement that it's one of the best jobs that any of us have ever been on. The decision to remake the Connaught Tunnel, to bring it back to life, was a fantastic one and bringing it back to life for the next 120+ years for the Crossrail project has been an amazing chance to do a job that I will never forget. Image: Water was drained from the Royal Dock to enable workers carefully remove steel tunnel rings from roof of the tunnel. 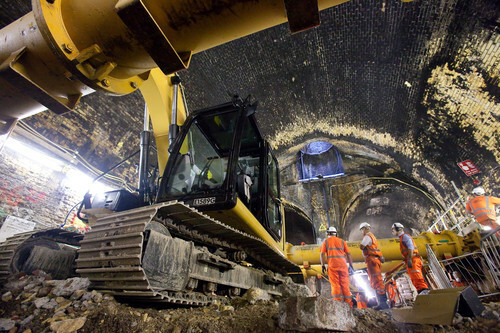 Image: The Victorian built steel tunnel rings were removed and a new concrete tunnel "roof" installed. Our colleagues varied from Marine Divers, Bomb Disposal Armoured Vehicle Operators, Archaeologists, Fish Removers, Tunnellers, Engineers young & old, Construction workers young & old – and all them were loud, robust, unique(! ), dedicated, mission-focused characters that cared about each other like family. I'm happy to say that this family feeling led to the project being very safe, as we watched out for each other. Safety doesn't just happen on complex construction sites – it needs vigilant work each day and having a well bonded team is one of the strongest starting points for ensuring that safety culture. 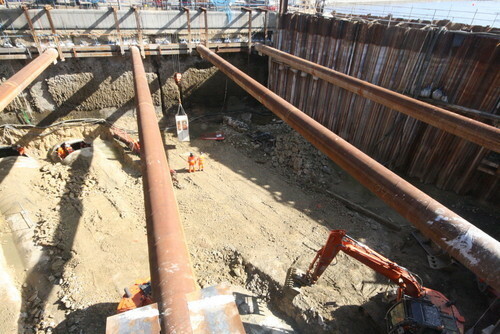 Image: Giant props installed within the tunnel to support excavation works to deepen the tunnel for Crossrail trains. Quite simply, it made each day a different challenge!! Using hand drawn, 135 year old sepia drawings as our starting place, we solved unexpected problem after unexpected problem. This is not to say that the Connaught Tunnel was poorly built. In fact, the opposite is true with our proud Victorian predecessors leaving us with such strong, perfectly laid bricks & mortar that it was more like cutting steel than brickwork. But it truly felt like a labour of love and a chance to breathe new life into beautiful old infrastructure. 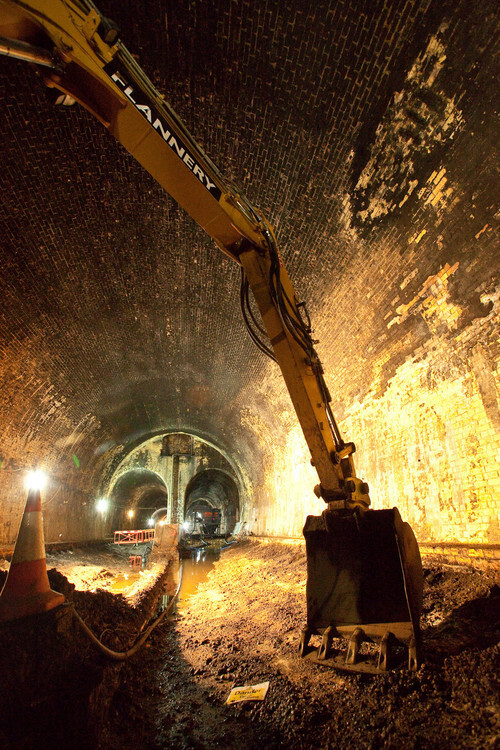 Image: Works to deepen the base of the 130 year old tunnel, February 2012. 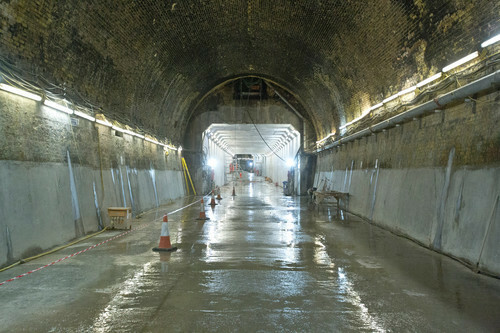 Image: View of newly refurbished Connaught Tunnel, July 2014. 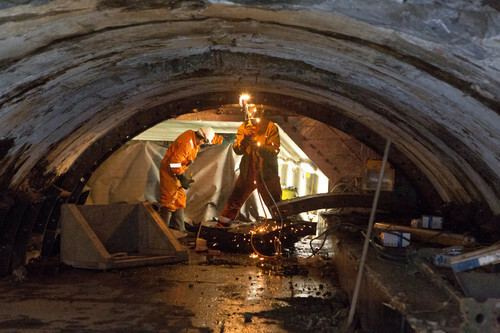 You can join me in a guided tour of the Connaught Tunnel works in this short video. I’ll wrap up by saying that I live in London with my husband and two sons. We’ll all be queuing up madly on the first day the Crossrail trains run. We’ll be marvelling at the stunning stations, smelling the smell of the sleek new trains, gawping at the speed – and me, when we pass through the Connaught Tunnel, will have my nose pressed to the window, looking out and remembering one of the most cracking jobs ever.